After rigorous testing over the ten year period from 2009-2019 and the period from 2007-2009, which included the Great Recession, and over 100,000 back-tests, today we demonstrate the technical conditions that have provided a strong short-term bullish momentum trigger for Dollar General Corporation , as well as, broadly speaking, the Nasdaq 100 index constituents. We're now looking at 1058% returns, on 14 winning trades and 11 losing trades. ➡ The average percent return over the last year per trade was 36.33% for each 14-day period. ➡ The average percent return per trade was 75.1% for each 14-day period. 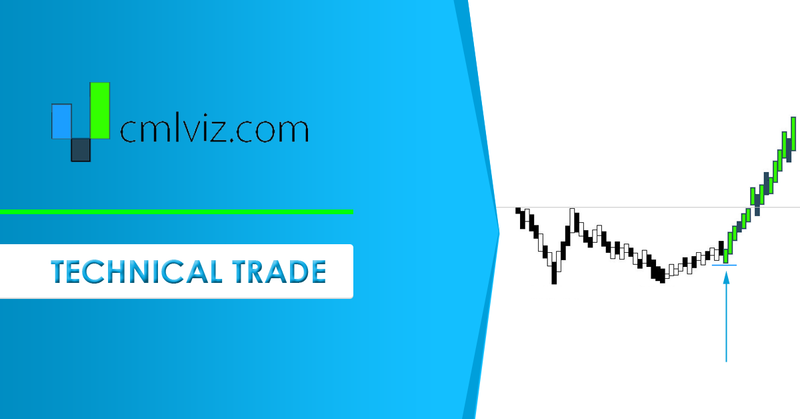 You can check to see the values of all the moving averages discussed above with real-time daily prices, including live after hours prices, for DG by viewing the Pivot Points tab on www.CMLviz.com. We're now looking at 554.4% returns, on 3 winning trades and 0 losing trades. ➡ The average percent return over the last year per trade was 146.81%.